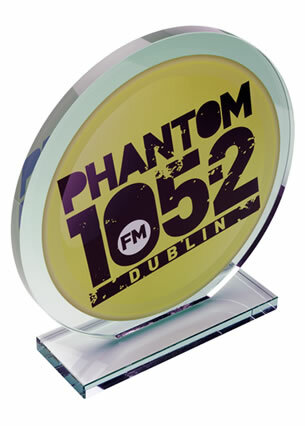 Jade crystal flat glass plaque awards in 10mm thick glass, 18cm tall, in an irregular 'iceberg' shape design. 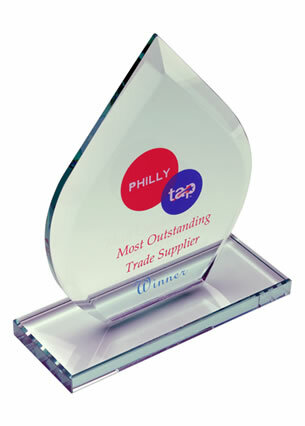 Perfect for engraving, and offered with text and logo engraving options. 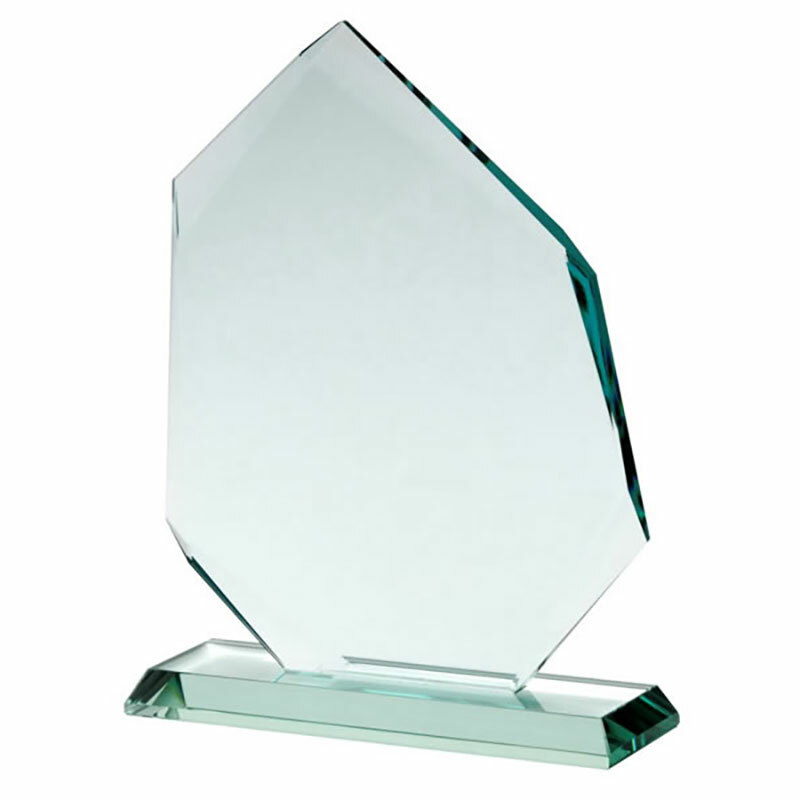 These stylish 10mm thick glass plaque awards have an 'iceberg' design and provide a thinner - and more inexpensive - version of our highly popular 15mm Jade Crystal Irregular Awards. 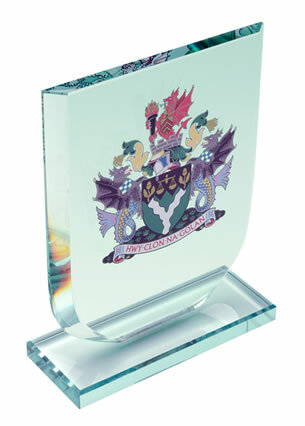 The flat front of these 18cm tall jade glass plaques is perfect for engraving and these versatile awards are offered with low, fixed-cost text engraving and free logo engraving.